We've set up a category for beanie hats in our online shop so it's easy to find them. Have fun imagining what you'll look like in them! Beanie, according to this Wikipedia article, is a name for a type of hat that you might, depending where you come from, call toque, touque, watch cap, knit hat, knit cap, sock cap, stocking cap, toboggan, boggan, skull cap, skully, warm winter hat, ski capor, chook, ski cap, sipple cap, monkey cap or simply wooly hat (even woolly hat!) 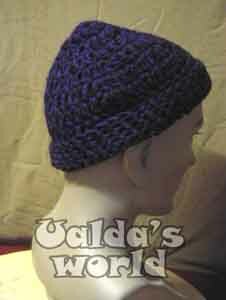 You can even wear a beret like a beanie if you pull it far enough down your head.